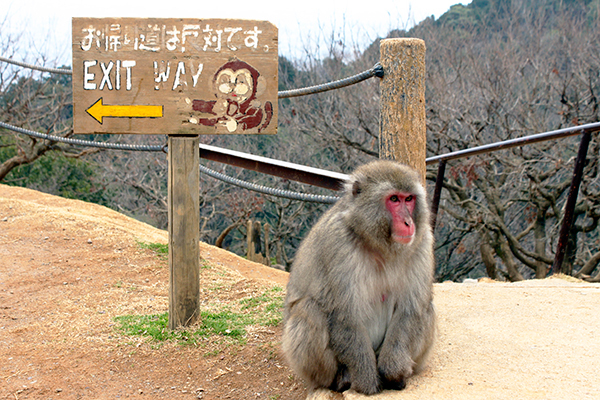 During our daylong excursion to the Arashiyama District of Kyoto, we visited the Iwatayama Monkey Park – a scenic plateau located on Mount Arashiyama. 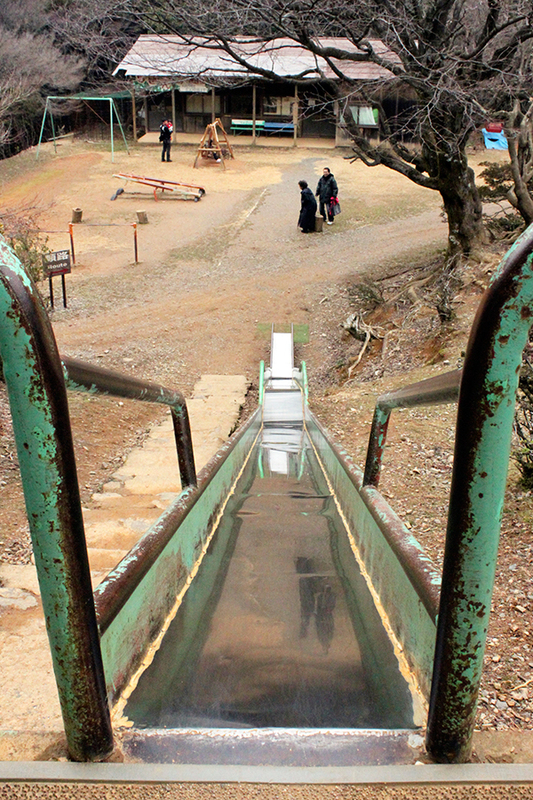 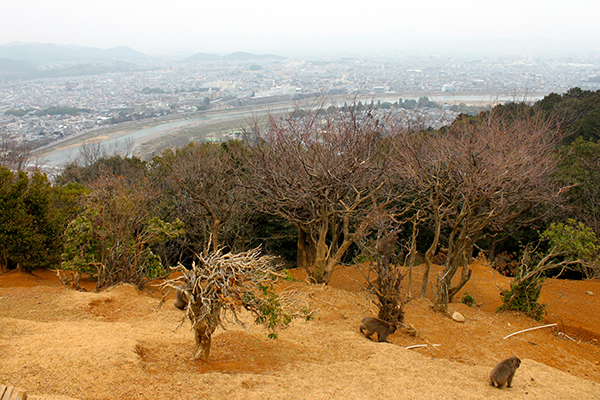 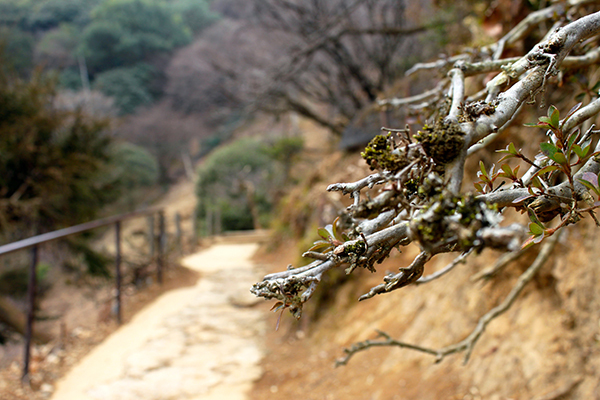 It is a steep climb to the top of the mountain, but the panoramic views of Kyoto below are well worth the effort. 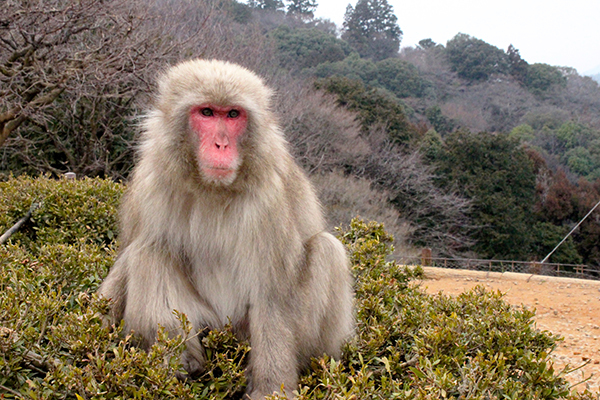 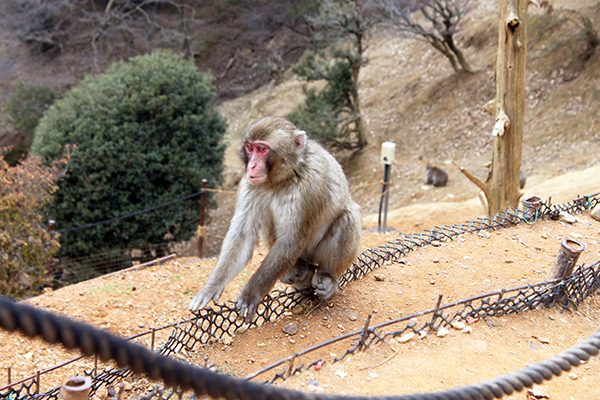 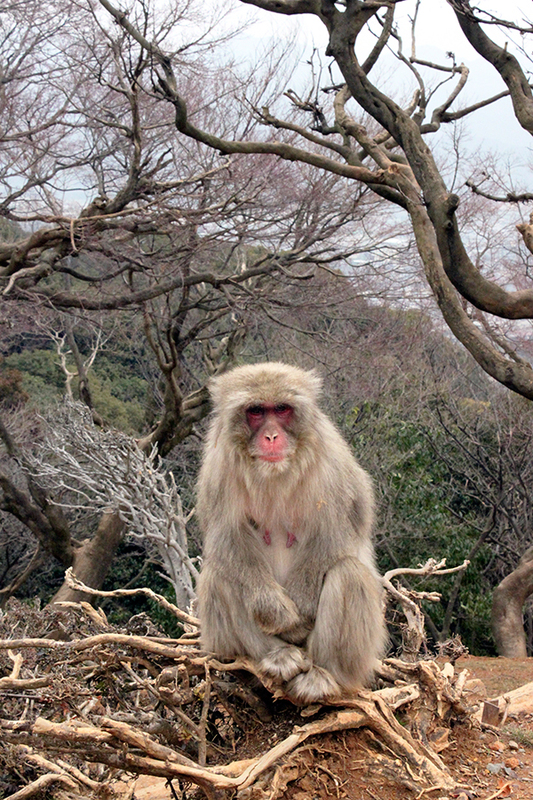 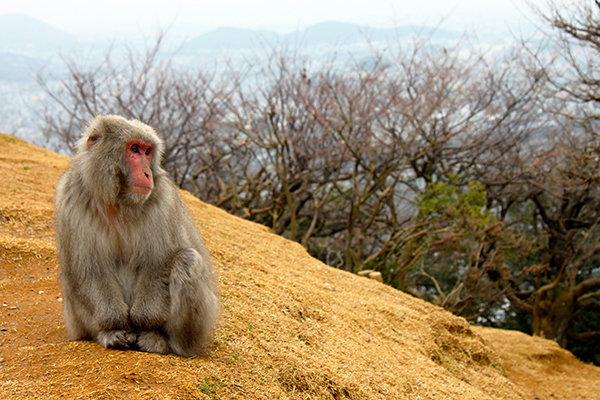 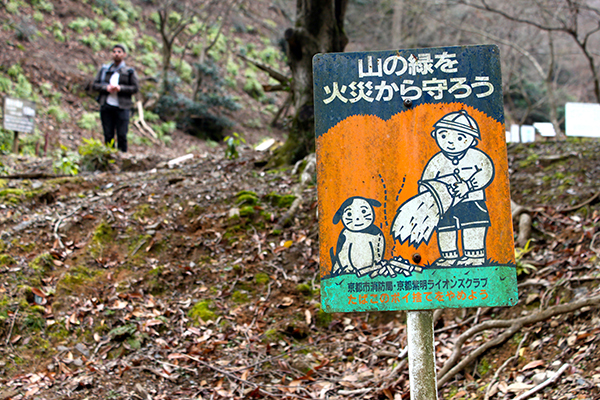 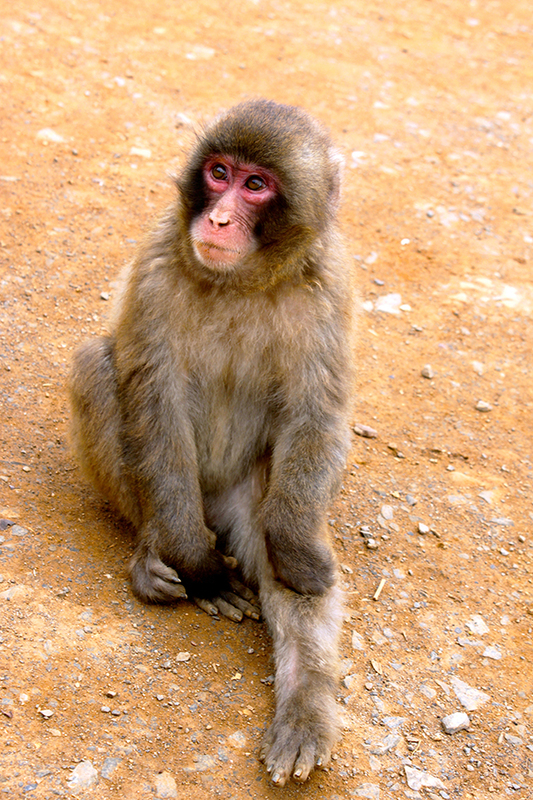 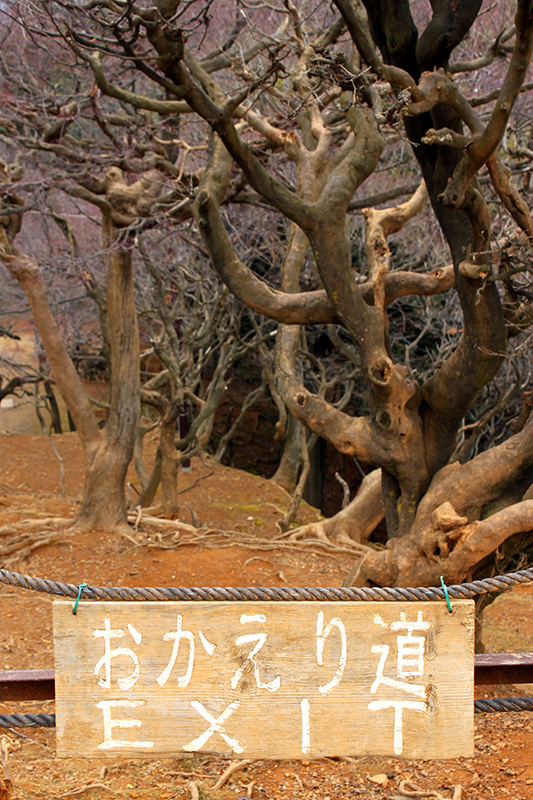 The location is a popular spot for the wild Japanese macaque monkeys to visit for food and play. 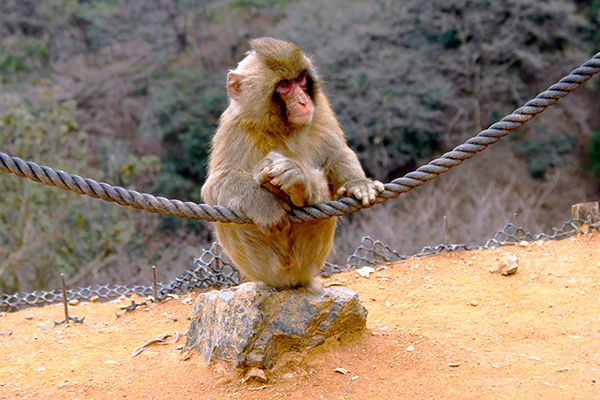 Refreshingly, it is the monkeys who are free to roam the terrain, while the humans are roped inside a restricted area.